Last week, Candy Crush Saga, the mind-numbingly simple yet addictive game that involves matching coloured sweets, was estimated to be worth $7.1bn. While that amount dropped by 16% after the company’s Wall Street debut, it still left the gaming geniuses behind the free app worth billions. Candy Crush is played by 93 million people every day, and it accrues an estimated $800,000 daily through players purchasing new lives and boosters that help them to conquer new levels. All told, half a billion people have downloaded the free app, and King Digital Entertainment, the company behind the phenomenon, reportedly netted $568m last year alone. I am on level 140 (not something I’m proud of), even after deleting the app once because I couldn’t stop playing. So what is it about this game that makes it so addictive? First off, it’s simple. The premise of Candy Crush is basic enough for a preschooler – just match three candies of the same colour. Initially, the game allows us to win and pass levels with ease, giving a strong sense of satisfaction. These accomplishments are experienced as mini rewards in our brains, releasing the neurochemical dopamine and tapping into the same neuro-circuitry involved in addiction, reinforcing our actions. Despite its reputation as a pleasure chemical, dopamine also plays a crucial role in learning, cementing our behaviours and training us to continue performing them. If the game remained this easy, however, we’d quickly tire of the jellybeans and gum drops, becoming bored after a couple of binge sessions. But Candy Crush keeps us coming back in several ways. As we play, the game gets harder, the wins (and those bursts of dopamine) becoming more intermittent. Also, despite what you may think – and what the developers of the game claim – Candy Crush is essentially a game of luck, your success dependent on the array of colours you have randomly been given rather than your swiping skills. This means that the reward schedule becomes unexpected: we lose more often than we win and we never know when the next triumph will come. Rather than discouraging us from playing, this actually makes the game even more enticing than if we won easily. This strategy is known as a variable ratio schedule of reinforcement and is the same tactic used in slot machines; you can never predict when you’re going to win, but you win just often enough to keep you coming back for more. I approached the game’s maker, King Digital Entertainment, for a comment, but the company declined my request for a formal interview. However, in its recent F-1 filing documents King disputes this assertion, claiming that while gambling is a game of chance, its games are casual games that are “easy to learn but hard to master”. It believes that Candy Crush is predicated on players reaching a certain level of skill and ability, and that you have to be strategic in how you move the candies around. Another feature of the game that strongly affects how we respond is the limit on how much we can play at any given time. Candy Crush effectively puts you into “time out” after five losses. This means you can never be completely satiated when playing and always leaves you wanting more. And by not letting you play, the game actually becomes even more rewarding when you are let back into Candyland. This is also how Candy Crush makes its money, letting you buy back into the game if you’re willing to purchase extra lives. Finally, it is no coincidence that the game is played with pieces of candy. As Sharman points out, food is often used in gambling games (think of the infamous fruit machine), tying our happy associations and the pleasure we derive from eating into the game. 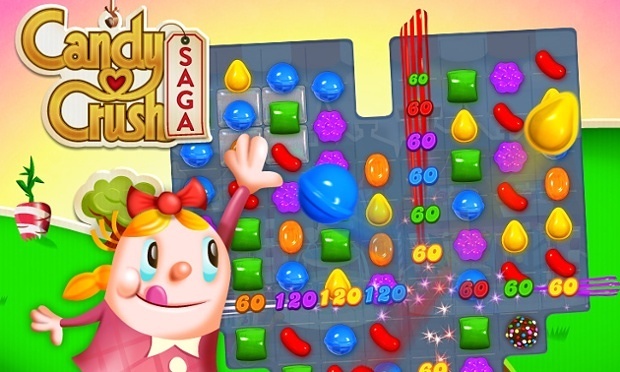 King acknowledges that candy’s positive associations help make the game more fun and relaxing. While there have been a couple of bizarre stories about mums forgetting to pick up their kids from school because they couldn’t stop playing the game, for the most part Candy Crush is harmless. You don’t ever have to pay if you don’t want to, and theoretically you can stop anytime you want. That said, I’ll be deleting the game from my phone … just as soon as I’ve reached level 141. Next articleYou Too Can Make $55,000 A Year! By Selling Candy On The Subway?